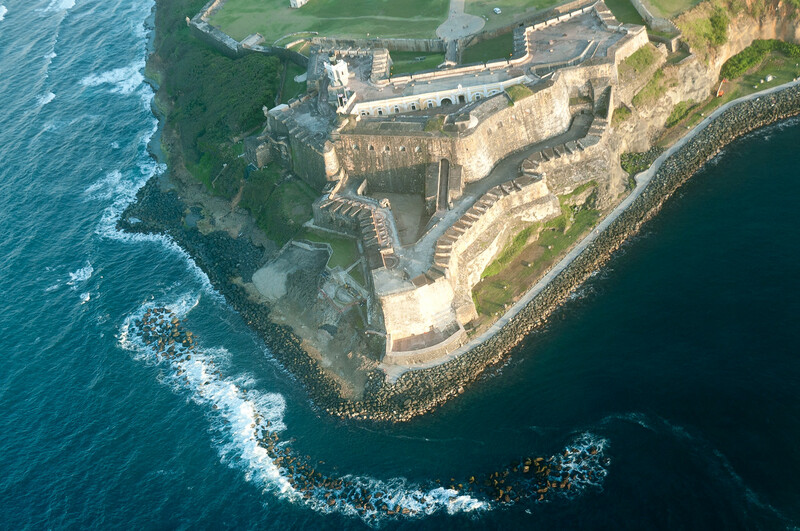 The main elements of the massive fortification of San Juan are La Fortaleza, the three forts of San Felipe del Morro, San Cristóbal and San Juan de la Cruz (El Cañuelo), and a large portion of the City Wall, built between the 16th and 19th centuries to protect the city and the Bay of San Juan. They are characteristic examples of the historic methods of construction used in military architecture over this period, which adapted European designs and techniques to the special conditions of the Caribbean port cities. La Fortaleza (founded in the early 16th century and considerably remodeled in later centuries) reflects developments in military architecture during its service over the centuries as a fortress, an arsenal, a prison, and residence of the Governor-General and today the Governor of Puerto Rico. San Juan is the second oldest city in the Western Hemisphere after Santo Domingo, Dominican Republic. The old city of San Juan still has the feel of a Spanish Colonial city. 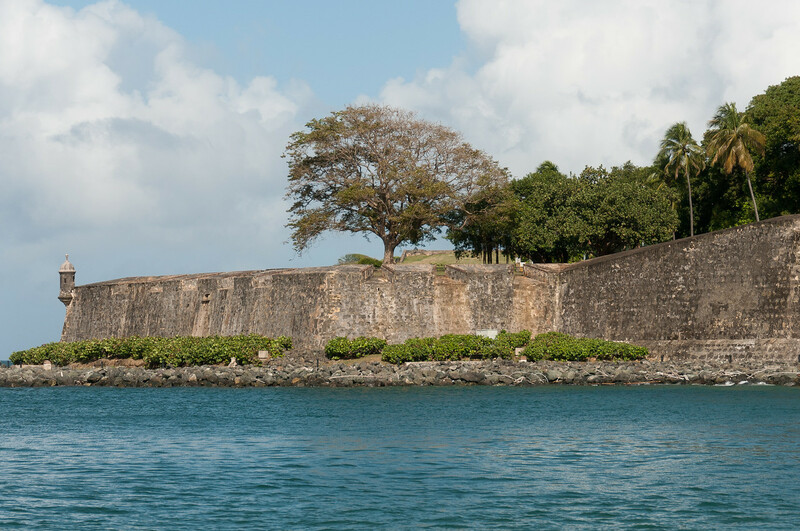 The fortifications of the city are still mostly intact and served to defend the San Juan harbor. Tip: If you visit the old city of San Juan, make sure to stop by Carli’s Bistro and listen to former Beach Boy keyboard player Carli Munoz play jazz. La Fortaleza and San Juan National Historic Site in Puerto Rico is one of the UNESCO World Heritage Sites in the United States (since Puerto Rico is a territory of the USA). This site was inscribed into the UNESCO list in 1983 for its universal and cultural value. This site consists of secular monuments and military fortifications that are of well-preserved state. Another factor that enabled it to earn the nod from UNESCO is the significant role it played during the Spanish colonization of the region. The defensive system tells the long and storied past of this region. La Fortaleza, or The Fortress, is the first half of two major sites encompasses by the UNESCO site La Fortaleza and San Juan National Historic Site in Puerto Rico. This site is currently the official residence of the Governor of Puerto Rico. This site was built sometime in 1533 to 1540. 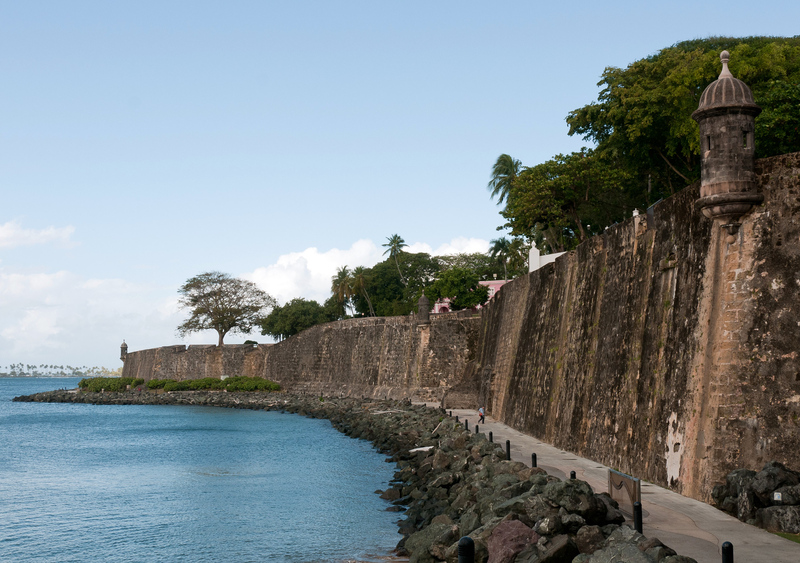 It was initially built to defend the San Juan harbor from attacks. This structure is also known by another name: Palacio de Santa Catalina. This exclusive mansion is the oldest of its kind in the New World and is the sole structure that is still continuously being used. In 1640, the chapel of Santa Catalina was demolished from the original structure. Originally, the chapel existed outside of the walls. But during reconstruction, it was integrated into the main walls of the structure. The San Juan National Historic Site is the other half of this UNESCO property. It is located in the Old San Juan section of the city of San Juan in Puerto Rico. It is also managed by the US National Park Service. 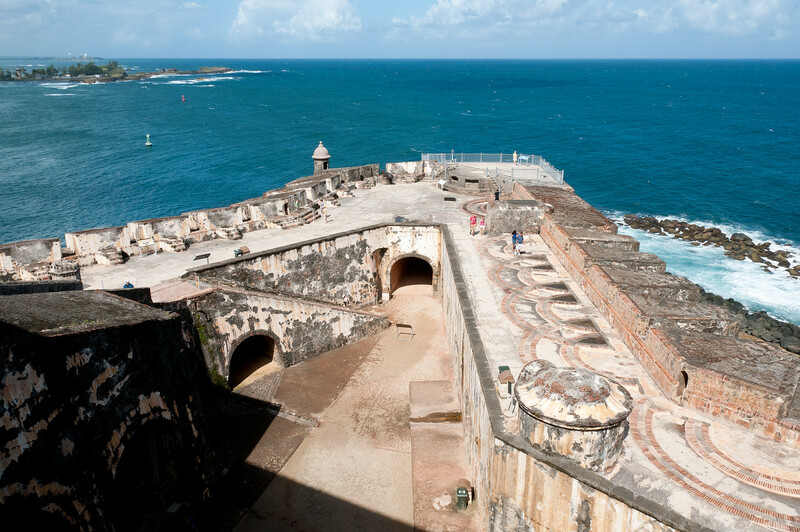 This historical site is known for preserving and protecting colonial-era forts in Old San Juan, such as the Castillo San Felipe del Morro. Other notable monuments that are protected within this site include powder houses, bastions, and the old city walls. In 1966, this site was added to the list of National Register of Historic Places. By 1983, the San Juan National Historic Site together with La Fortaleza, was designated the World Heritage status by UNESCO. Only 12 US National Parks are also known as UNESCO World Heritage Sites and this is one of them. This San Juan National Historic Site is open from 9 AM to 5 PM from Mondays to Fridays. However, La Fortaleza is open from 8 AM to 3 PM on weekdays. 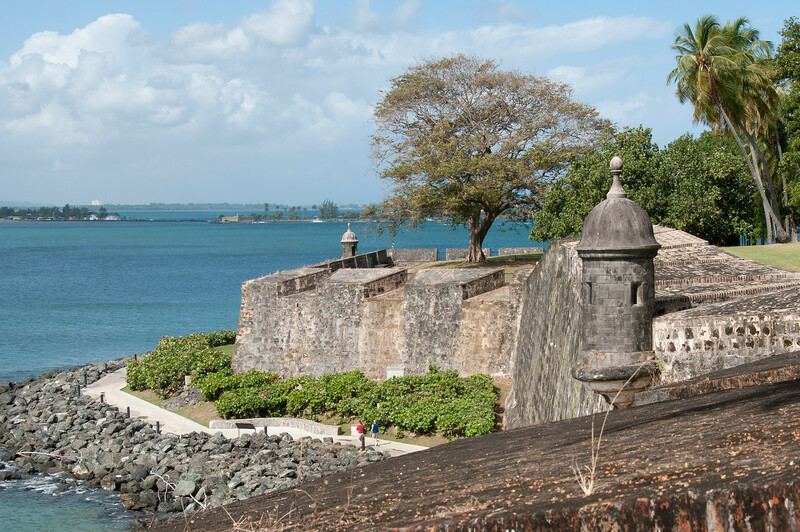 The address for this UNESCO site is in 501 Norzagaray Street, Castillo San Cristobal, in Old San Juan. Puerto Rico has a year-round tropical climate. Rain is expected at any time of the year, but April is the dry season. If you want to avoid visiting during the hurricane season, do not book a trip in June to November. An entrance fee of $5 is required for all visitors and it will give you access to the forts in Castillo San Cristobal and Castillo San Felipe del Morro. This park and world heritage site is open for wedding and photography locations. You need to pay for administrative and application fee of $150 each. 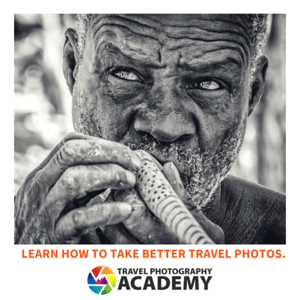 Other fees may apply as well. Sigh! My old stomping grounds. I love San Juan :).